Dr. Christopher Bray MD PhD: Screening Mammography Controversies, What’s a Woman to Do? Screening Mammography Controversies, What’s a Woman to Do? Breast cancer screening should involve shared-decision making (an active and in-depth conversation between physician and patient) with true informed consent about risks and benefits like many of the other cancer screening tests we have. 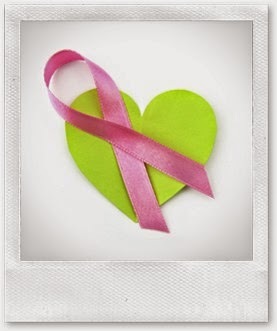 Many women feel that a yearly mammogram is the only thing they have to do for breast cancer prevention. What makes this even easier is that radiology departments are sending letters directly to patients and independently ordering a yearly mammogram without allowing for any discussion with the physician. Unfortunately mammograms are not breast cancer "prevention", they are however helpful in breast cancer "detection". A self exam and clinical exam are important elements as well in early detection. Breast cancer "prevention" strategies should be emphasized more during the regular preventative visit with your physician. Dr. Tori Hudson has a very good discussion of the issue in her recent post. Camp 1 is the dominant school of thought held by organizations including ACOG, ACR, ACS, and Komen Foundation. They all recommend screening mammography yearly starting at age 40 and ending approximately mid-70s, although this is based on individual health and ability to withstand treatment regimens. Camp 2 is held by the USPSTF, which is quite a bit different with screening mammography. This recommendation is not to start mammography screening in low-risk women until age 50, and then to do it every other year. Camp 3 is a model common in many European countries: screening mammography every 3 years, some starting at age 40 and others at 50. There is no evidence that countries using this model have any higher rates of breast cancer mortality than countries that employ more frequent screening. Camp 4. No screening at all in low-risk women, based on calculations from one of the leading U.S. researchers on analyzing screening mammography data. As mentioned earlier, his conclusions are that it would be necessary to screen 2,500 women every year for 10 years to avoid 1 death from breast cancer. I also point out a few caveats to my patients. The first is that the current scientific data do not explain whether avoiding screening mammograms (and their potential for earlier detection) will result in exposing women to more aggressive treatments and the ensuing impacts on quality of life and adverse effects. The second is that breast cancer diagnosed in younger women, ages 40–49, tends to be more aggressive. So screening mammography in this age group might in fact be more important than screening mammography after age 50 or so. After sharing all the above information, I feel that my patients are reasonably well informed and can make their own decisions, with my support. Some readers might conclude that they won’t recommend screening mammography at all or may instead choose to recommend breast thermography. Before going the route of thermography, I recommend the excellent article by Walker and Kaczor: Breast Thermography: History, Theory, and Use. The recent research pointing to more serious questions about the benefits vs. harm of screening mammography in low risk women has not caused me to stop recommending screening mammography or to suggest thermography. Instead it has caused me to have an increased awareness that the mortality benefit is possibly modest and that my recommendations and my patients’ decisions may in fact be a close call with trade-offs of modest benefit and modest harm. This highlights the need for us to make individual recommendations based on known risk factors including obesity, more than 7 alcohol drinks per week, a first-degree relative with breast cancer history, BRCA mutations, and the slight increased risk incurred after estrogen with progestin (and not necessarily progesterone and not estrogen only) use for 3–4 years in postmenopausal women. As a point of clarification though, I would typically recommend annual screening for these higher-risk women 40 and older."